Let me congratulate you on making it all the way through this series. Think about how far you've come in such a short amount of time! It takes a high degree of commitment to work your way through 10 hours of content, but you did it, and you definitely have what it takes to see a project through to the end. And so, I'm confident that you can build the next great app. I would encourage you to take your time, aim high, and test, test, test your app to make sure your app is polished and ready for others to use it. I love to hear from people who have watched these series I've created and who have built an app and submitted it to the app store. That's probably the best feedback that we can get ... that this series helped you in some small way and that you actually built an app and released it into the Windows Store. If that describes you, and if you need a beta tester, by all means please send me a tweet @bobtabor or write me at bob@learnvisualstudio.net. Before I wrap this up, I want to thank Larry Lieberman and Matthias Shapiro who sponsored and edited this series. If you like this content, please let them know ... there's a feedback link on the footer, or just leave a comment below this video. Also, I want to thank Channel9 for their ongoing support of my work, including Golnaz Alibeigi, and those I've worked with in the past who have taught me so much, like Clint Rutkas who got a major promotion to the Halo team and of course, Dan Fernandez who I've been working with for over 10 years and who has keep me connected with Microsoft. It is much appreciated. 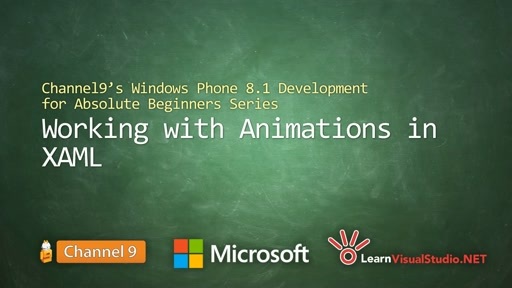 Allow me to make one last plug for my website, www.LearnVisualStudio.NET. I try to share everything I know with my clients about C#, Visual Studio, Windows and web development, data access, architecture and more. Finally, I honestly wish you the best in your career and in life. Thank you. Your style is so easy and relaxed and you speak a t a level that I can easily follow. Thank you so much for doing this and hope to see more. Can you create a video with in app purchase? Thanks for this great series, it really helped me a lot. You are a great tutor. thank you very much! it really helped me a lot. You are a great tutor. Thank you very much Bob. It's a lot of work to plan/create a series like this. Your efforts are definitely appreciated. Keep doing what you do. Bob you are the man! thx so much for your tutorials. you are the reason i easily jumped from iOS development to Windows phone development. Keep up the great work! Thanks for everything and I will sure want you as a beta tester on my first app. Thank you for all of your helpful videos Bob! 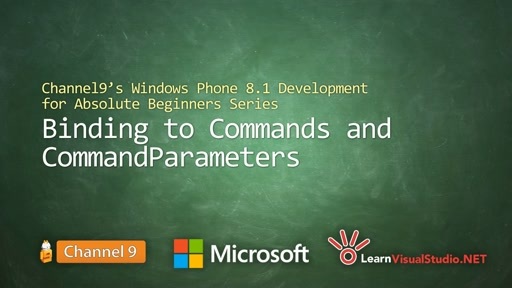 Thank you for taking your time to create this well done tutorial to all of us who are interested in developing apps for Windows Phone. Thanks to you, Microsoft have gained thousands of new, eager developers. 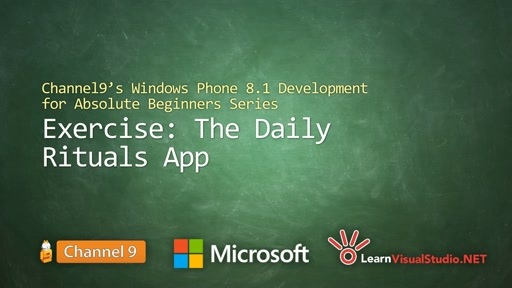 It is a great start for developing Windows Phone apps. 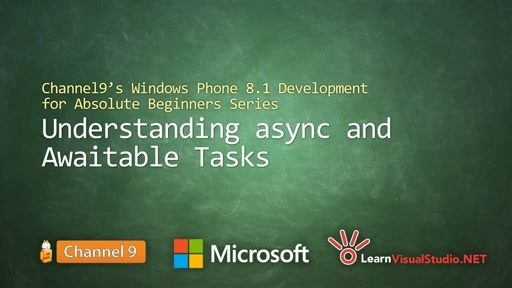 A great set of videos which I enjoyed working my way through. 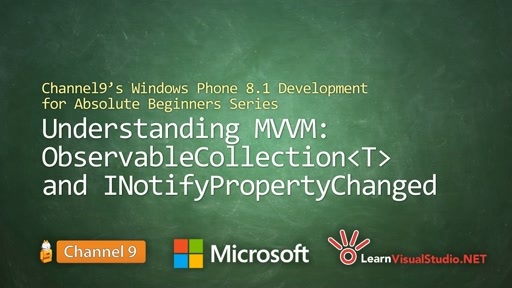 If anyone asks me where to start with Windows Phone 8.1 programming I now know where to point them. Thank you. 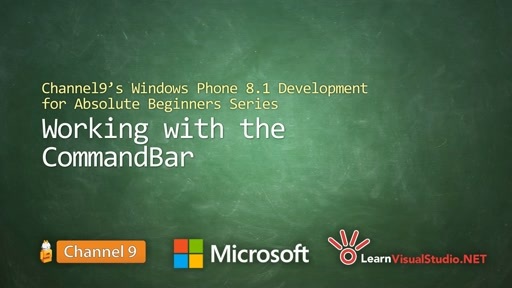 I will be a Windows phone developer. I love your learning style. Thank you Bob, for the great tutorials. Mr. Tabor, your lectures are simply fantastic. Simple and very easy to keep track of them. Your way of teaching is excellent. 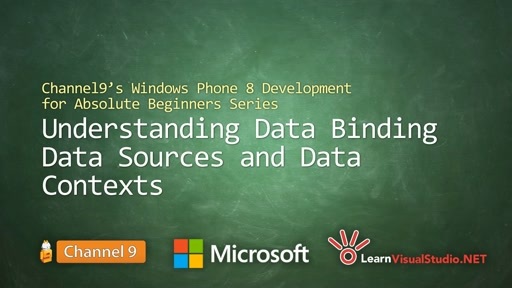 Continue with these video tutorials if you can. Thanks for all your great tutorials. My English is very bad, so I used the Google translator. If there are grammatical errors in the message, I apologize. However, I hope you have understood what I wanted to say. I just can say: Excelent! Really really thank you for these tutorials! Your series is greatly appreciated and has given me an excellent reference point for developing my first store app. Thank you very much . bob. A good tutorial is a good simplified style, a great tutorial is a good tutorial when it works with latest visual studio in all steps. Thank you very much, Bob. Your lessons have been invaluable. Your teaching style is fantastic, and has greatly accelerated my learning time in the transition from straight C# to using the XAML interface. P.S. Thank you to whoever sponsored these videos as well! I just want to say thank you Bob and Channel 9 for this amazing series. I was able to learn so many things in a very short time and now I can start building beautiful apps. Thank you very much Bob & Channel9 for this great series. BOB you are great and the way you teach is amazing. I do not know how to thank you for this great series of videos. I have gained so much out of this series and the other series you have presented so far. It inspired me so much I went on to be a registered member on your site.